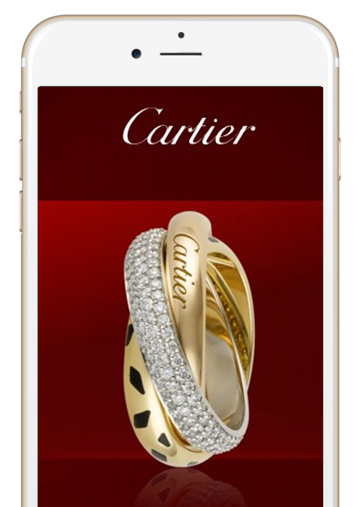 Iconic brand Cartier created an elegant, personalized e-invitation to a presentation of the company’s new “Trinity Collection”. The first screen of the message personally addressed the VIP client recipient by name (in this case, Ms. Wang). The look and feel of the text evoked a high-end printed invitation, with white text on a black screen. 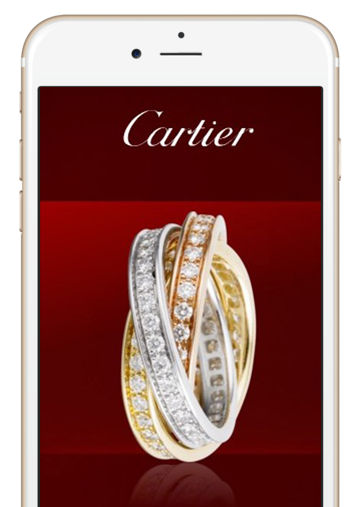 Yet it also included a subtle sense of urgency “3 weeks left … not to forget!” Screens 2, 3 and 4 each showcased a different ring from the Trinity Collection – stunningly photographed against a maroon background with the Cartier logo. This example demonstrates how an attractive e-invitation can be set up and used for CRM-segmented marketing. Innovative beauty brand M*A*C created a colorful, whimsical invitation to entice recipients to its Spring Makeup Party at M*A*C Flamingo Park, M*A*C Avenue, Langham Place, Hong Kong. The text of the message attracted the recipient into this M*A*C store to get a “sweet spring makeup look” from M*A*C’s professional makeup artists. 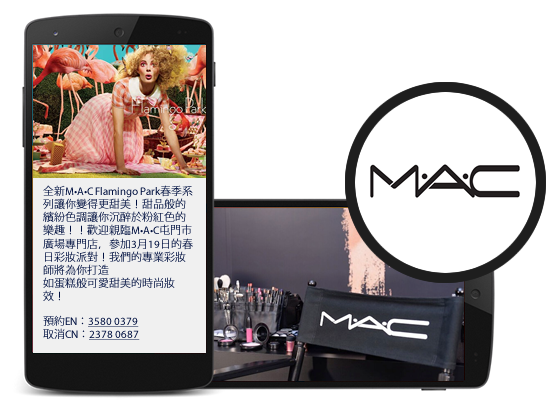 M*A*C regularly used the Rich Media Messaging powered by Key2Cell for other campaigns and events to drive traffic to both the stores and to their Facebook and other social media pages. 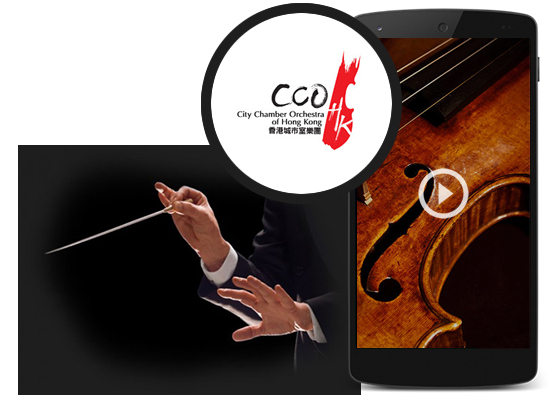 The call to action was a link to CCOHK’s website, directing recipients to the What’s On/Season Subscriptions section. Fashion and beauty brand Paco Rabanne ran a campaign to reach out to registered account holders and encourage them to visit their website for special promotions with a video of their latest product. Paco Rabanne’s signature minimalist style with a focused headline (“Black XS for Her and Him”) and an evocative black & white photograph of a shirtless male with an “XS” medallion on a chain reaching to his midsection. The use of video in their mobile marketing campaign has proven a powerful way to drive awareness to a wide audience about their new Black XS perfume. 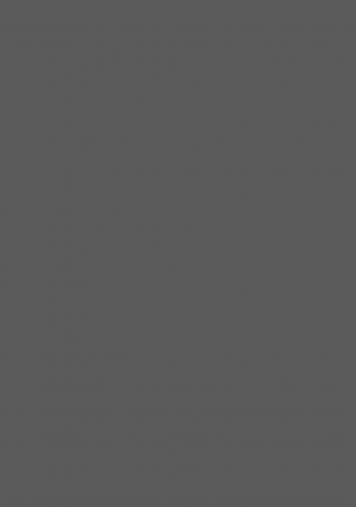 A leading Hong Kong advertising agency partnered with key2cell to promote this dynamic advertising medium to their “early adopter profile” clients. 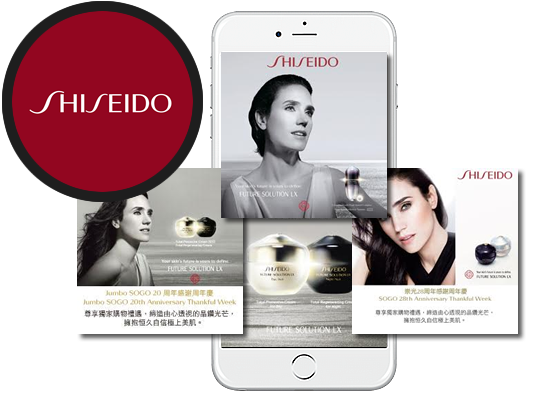 Shiseido became the first major beauty brand to use our platform through them. The key2cell platform has enabled the agency to offer customizable MMS to efficiently deliver memorable invitations, promotions, new product announcements, and more on behalf of their clients. Today, key2cell is proud to serve many notable beauty, fashion, sportswear, jewelry and other high-end brands through their advertising agencies and directly.